If you played on MCPE servers at least once, you probably remember the command allowing you to save the point of your own homes. For example, you have built a structure and want to spawn exactly in that place every time you teleport or die. It's a bit like a bed, except that the beds are not capable of teleporting you. To see all available commands and a description, type / ah help. Then get where you want to set the first teleport point and type / ah sh to save the first point. Thus, you can create an unlimited number of homes or important places, for example found structures or villages. 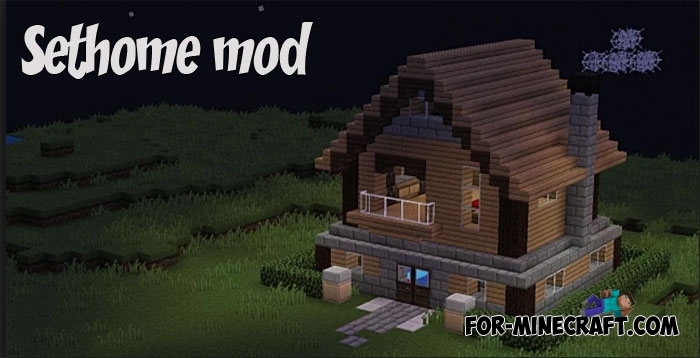 Run BL and select ModPE -> activate the mod (.modpkg).